We’re aiming further afield than ever before! 10-day adventure to the simply stunning Sangat Island in Coran Bay, the Philippines! This trip of a lifetime will see us venture to the Philippines in South East Asia. An area consisting of an archipelago of over 7000 islands, separated from the Asian mainland by the South China Sea. Nestled along side the extreme northern boundary of Coron Bay, Sangat Island is just one of over 90 islands and islets which make up the Calamian Island Group in the northern sector of Palawan Province. 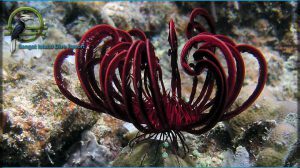 Sangat Island and its surrounding tropical seascapes provide a thriving safe haven for countless varieties of plant, animal and aquatic species endemic to the little island, as well as the entire Calamian Island Group. Throughout your stay on Sangat Island, you’ll enjoy 9 nights All Inclusive stay at the beautiful Coran Bay Resort, complete with private beach, beachside Bar & Restaurant, inland wildlife walks and views to die for! In keeping with the extraordinary beauty of the island, all resort accommodations have been constructed according to the durable, time-honored techniques of local native artisans and laboriously assembled from the finest, locally available materials including hand-woven bamboo wall panels, split-bamboo flooring, and Cogon Grass or Nipa Palm roofing. 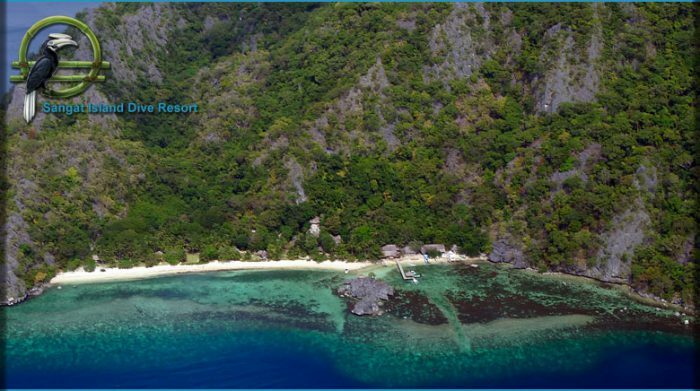 Visit Sangat Island Dive Resort to look at the wonderful accommodation that awaits you! There truly is something for every diver! 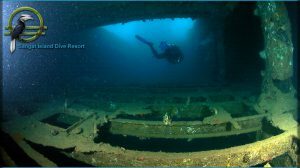 Not only are there some fantastic World War Two wrecks from the Japanese Fleet to dive. 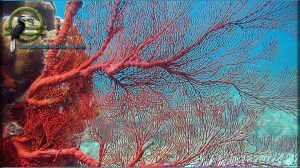 There are also stunning reefs that are teeming with life, rich in colour and biodiversity that will blow your mind…or camera lens! 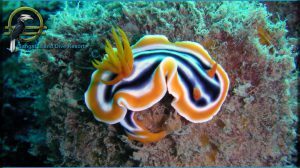 For the photographers out there, there are some amazing photographs on the Sangat Island Dive Resorts web page to give you a flavour of what can be seen on these amazing dives – this will certainly help to get your imagination kick started into overdrive! 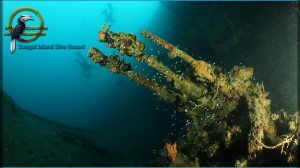 Sangat Island Dive Resort has not only become a Mecca for scuba divers yearning to experience some of the most striking undersea wildlife in the world, but – with eight of ten significant World War II wrecks just minutes from the beachfront – Sangat has also become known as “the place” for wreck diving enthusiasts as well. 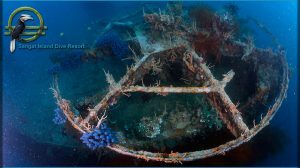 If you would like to view a comprehensive summary of information on each of these wreck sites (including each wreck’s location in relation to Sangat Island, wreck depth, visibility, travel time, and more), please click here. If you would like to view a detailed account of the Battle of Coron Bay – as well as authentic aerial photographs taken during the siege – please click here. 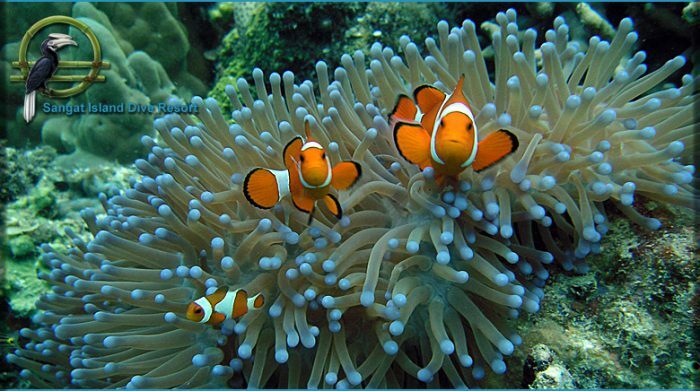 Booking with Island Divers is simplicity itself. 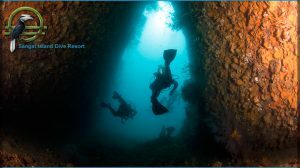 With a quick phone call or visit to the Dive Shop and a small deposit, you’ll be one of the lucky adventurers on board this incredible dive holiday! All passport details, logistics, transfers and bookings are taken care of by us, which means you can look forward to relaxing in paradise knowing that everything is being taken care of. International flight to the Philippines followed by an internal transfer flight. 9 nights all-inclusive at Coran bay (paradise! )Twin/Double Room. Return, one night accommodation only in Manila. 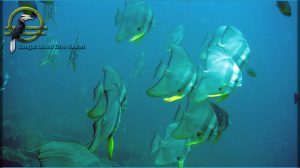 The Dive package is spread across Wrecks and Reefs to cater for all interests – a photographers and “wreckies” paradise! There will also be a discount for Non-Divers! Spaces are available immediately on a first come, first serve basis but are limited! With a non-refundable deposit of just £200! Call us ASAP to book before they’re all gone!